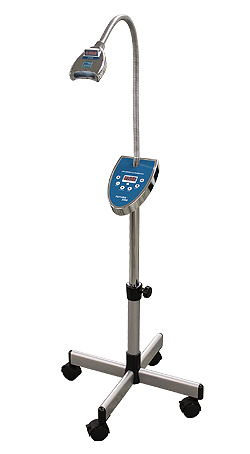 Poised to become the standard by which all teeth whitening lights are judged, this is both the most technologically sophisticated teeth whitening lamp in the industry and the most beautiful. You really need to see it to appreciate it. Even our competitors praise it in private. The body and the head are each cut out of solid blocks of aluminum. When you touch it, you feel nothing but quality. Our customers see and feel the quality. It has 8 powerful 3W Osram blue LEDs made in Germany for a total of 24W, making it most powerful LED teeth whitening light ever designed. We could have gone with much cheaper LEDs, but Osram makes the best blue LEDs in the world, and we wanted nothing but the best for this lamp, no matter what the cost. Although it was designed for the most discriminating dentists, the beauty industry is using it to impress their clients and give them stunningly white teeth. High power is important for 2 reasons: 1) for dentists it allows them to cure the gingival barrier they use more quickly, in this case in under 1 minute, and 2) such powerful LEDs actually warm up the gel slightly allowing it to work more effectively. The blue light is cold, but the LEDs give off just enough heat to raise the temperature of the gel to the optimal temperature. This is truly a high-tech product. The result of over a year and a half of intensive R&D and true to our roots as a Silicon Valley company, this is the first teeth whitening light with a computer inside. 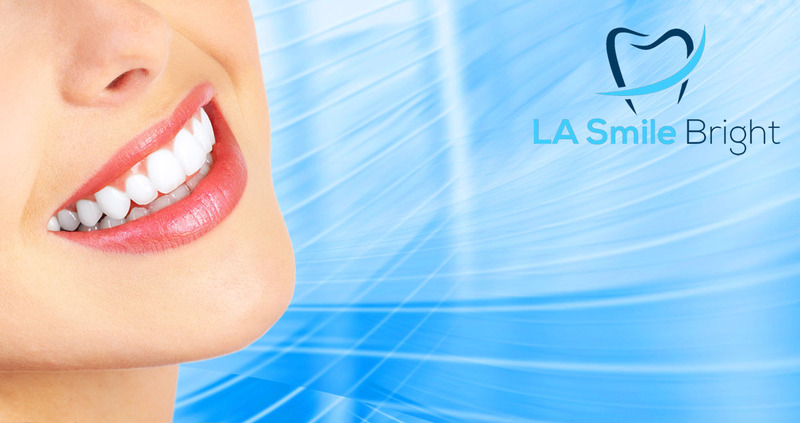 We guarantee our system to be the highest-quality teeth whitening light in the industry. 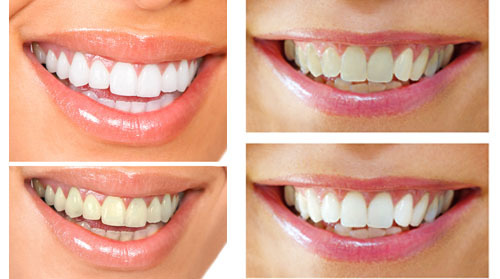 In summary, if you are looking for the most sophisticated teeth bleaching light in the industry, one that is also both beautiful and very affordable, this is it. Get 6 to 10 shades whiter today!